Rev. Paul Browning grew up experiencing both the benefits and drawbacks of religion. The stories of Jesus gave him a sense of God’s presence and moral direction. But the hypocrisy, judgement and anti-scientific teaching he encountered made church irrelevant at best and abusive at worse. 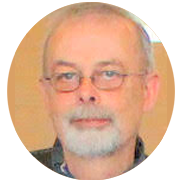 The United Church of Canada and Trinity, in particular, have given Paul a spiritual home where he is free to explore with all people of good will the meaning of life and to develop spiritualities which are relevant and empowering. If there’s one thing that nature teaches, it’s that the Source of Life and Love we call God loves diversity. Paul is proud to minister with community that celebrates diversity. Paul is blessed with a wonderful family; his wife Sue who is also a minister and a registered psychotherapist, his daughter Siobhan, and sons Jackson and Damion. Nancy joined the Trinity family nine years ago, after several invitations from her sister Lori MacDougall and her friend Rodney Perkins suggested she check it out. Asked to write a story for a local magazine about a youth group that was doing good things in the community, Nancy had heard about the GreenTeam at Trinity so decided to write about them. That experience had her feeling welcome and she kept returning and accepted Lori and Rodney’s invitation to come to church. A Social Services Worker (SSW), Nancy has volunteered as a member of the Communications Team and often writes for the Trinity Newsletter. She has also volunteered with Wonder Café, the monthly Hospitality Meal and is one of the key organizers of Argyle Art-in-the-Park. In September 2017, Nancy joined the staff at Trinity as Executive Assistant. Part of Nancy’s job is community outreach which is her passion. 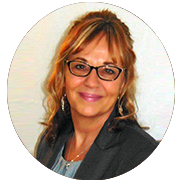 She is chair of the Special Events Team, a member of the Newsletter Team and Women’s Circle. 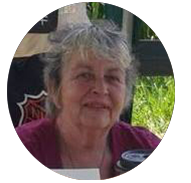 Outside of Trinity Nancy is a published freelance writer having written for several local and national magazines and newspapers and is a co-author of 6 books. She is very active within the Argyle community. Nancy is a recipient of the Queen’s Diamond Jubilee Award and more recently a Canada 150 Award for her work in the community. She is married, has 3 adult children and 6 grandchildren. Katherine Warren’s love of music began as a young girl when she was inspired by the work of her grandfather, Professor Harry Wellard, who was an organist and choir director at First United Church in her hometown of Truro, Nova Scotia. She was brought to London as a new bride where her career in banking didn’t stop her from following her musical passions. Never having to be told to practice, Kathy continued her music instruction into her adult life, studying piano, voice, and choral directing under some of London’s finest educators. Twenty years ago her dream of working in music came true and she joined Trinity United Church Community Centre where she flourishes as Music Director and Church Administrator. 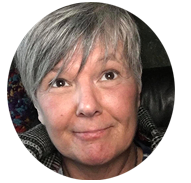 The opportunities abound for Kathy here – the Chancel Choir, a Youth Choir (Souled Out), the formation of a new Children’s Choir (Trinity Treasures), teaching piano plus filling the shoes of an administrator, all happily occupy the minutes of her days. When she isn’t trying to finish her regular tasks you may well find her volunteering one­-on-­one private vocal support for one of her choir members who are long on desire to sing, but short on formal training. Kathy says she is so glad to be at Trinity because when it comes to being part of a choir, religion, or lack thereof, is of no requirement or concern. Trinity follows the Golden Rule and is not interested in preaching to or converting anyone. Truly, she would just like you to Come Sing with Us! Taylor is a 2nd year student at Western University and has worked for Sunday camp for over a year now and loves it. She has worked at Trinity for the past 3 summers with the S.A.L.T. program run through Riverside United Church, and loves the values Trinity holds and feels very welcome and loved here. Madison is the Kids Space leader here at Trinity. 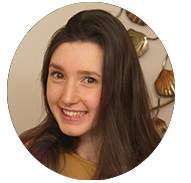 She has a history of involvement with the United Church youth as the London Conference Youth Forum chair, leading S.A.L.T. Day camps, and currently as the GC43 Youth Forum Coordinator. 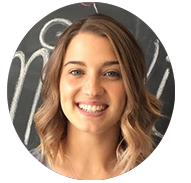 Helping youth explore their faith and experience a welcoming community is as much a passion as it is a value for Madison, who is also a Developmental Service Worker (DSW) and currently a student at The University of Western Ontario. 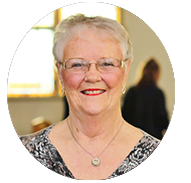 Originally from Liverpool Nova Scotia, Cathy’s life journey brought her to Trinity in the Fall of 2014 when she was invited to come and Sing with the Worship Team (Tapestry) at a Sunday Morning Service. She was inspired by the progressive Music program and the Golden Rule philosophy that was expressed both from the Pulpit and within the Community of people that she met on that Sunday morning. So much so that she commuted from Sarnia to London twice a week for Music practices and Sunday Services, eventually relocating back to London allowing her to be more involved with supporting the Vision of Trinity. Cathy wears many hats at Trinity. She is part of the Worship Team, part of the Pastoral Care Team, Co-Facilitates an Outreach Ministry program for Seniors, leads a Ladies Circle focused on Spiritual growth and is now a U.C.W. member. She has been seen preaching a Sermon on an occasional Sunday, or presiding a Service and is always looking for a new face in the Congregation that she can welcome as warmly as she was welcomed that Sunday Morning 4 years ago. Cathy has most recently started a 1-year course to be considered for Licensed Lay Worship Leadership upon completion. Cat started the Green Team in 2008 after 6 years delivering Scouts Canada programs for Beavers and Cubs youth. Frustrated with delivering someone else’s programming, she approached Pastor Paul and asked if Trinity would support a multigenerational group based on her Pagan beliefs. He said yes, and the Trinity community was just as welcoming. In 2011, Cat and two other Green Team members took part in a Trinity fundraiser, a Murder Mystery play gifted to the church by Dan Ebb. The event was so well received that Cat decided to try her hand at writing and directing an original Murder Mystery, which lead to the creation of the Green Room players. The Green Room now has a Fall and Spring season, with a cast and crew of 30 people, with an audience of 400 people a year. Dave was born and raised to a large family in rural southern Ontario. He has lived in Woodstock and Toronto where he attended Centennial College and obtained a Social Services Workers diploma then worked in various not-for-profits in Toronto for a few years. Currently, he makes London his home and divides his time working at the Old East Village Grocer and Trinity. 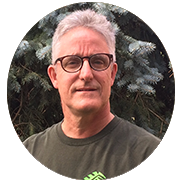 Dave finds both positions in the not-for-profit sector very rewarding. Coming across Trinity one evening while out for a walk, Dave found it just “felt” right, and started to attend the Sunday services and was soon volunteering at various events including the hospitality meal. When the opening came up for part-time help in the office he applied and was successful. In addition to raising four children with his wife Valerie, Rocky has worked in youth ministry for the last 18 years at several churches here in London and previously in Maryland. He has been part of the Trinity family for the last seven years. Rocky has also been quite active in sports, coaching numerous youth soccer and hockey teams in the London area over the last 15 years. 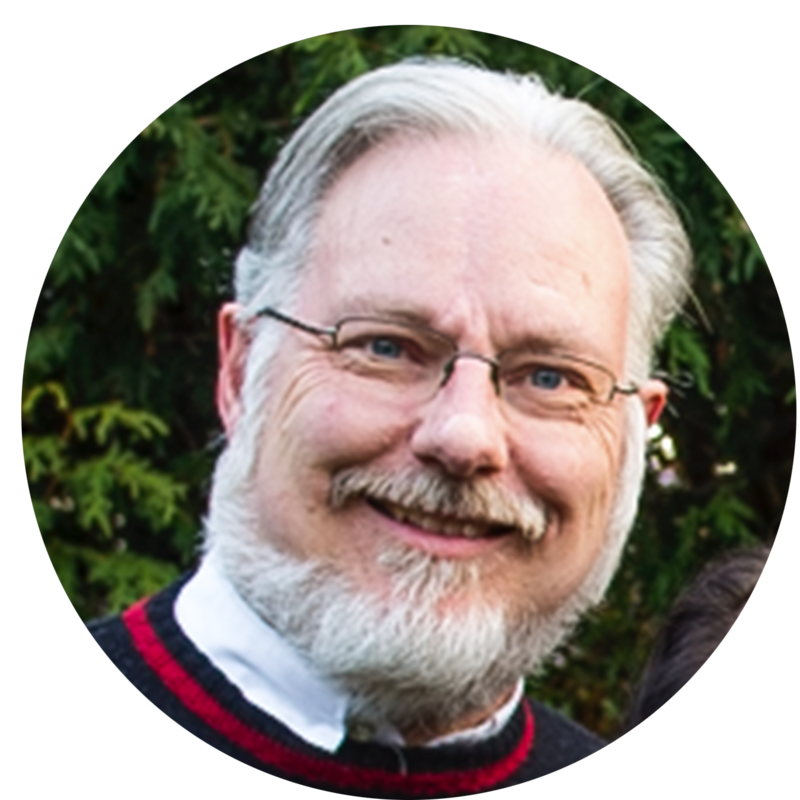 Eric is a self-described church-going atheist, who came to Trinity after an unexpected spiritual experience and chance encounter with Paul. Originally trained as a computer guy, Eric handles many of Trinity’s tech needs. 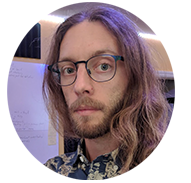 Now as a graduate student, Eric is working on theories about spiritual community, counter-individualistic ontology, psychedelic drugs, and more. Rodney was born and raised in London and though he has lived in east London for many years, Rod spent a great deal of his life ‘on the road’ as a professional entertainer. 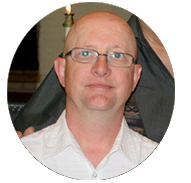 He joined the Trinity family as band co-ordinator in 2005 after being contacted by Trinity’s then new minister Reverend Paul Browning. Paul had seen one of Rodney’s articles in East Side Story, an east London community paper and was surprised to learn that the writer of that piece and the musician he was looking for was the same person. Rod was impressed with the community approach that Paul brought to ministry and the good people that were coming to be a part of it.